The 2014 Screen Actors Guild Awards were held in Los Angeles on Saturday night (Jan 18) and broadcast live on TBS. The awards ceremony was held during a dinner for the nominees and invited guests. As Jay Leno lobs potshots at ratings-challenged NBC in his “Tonight Show” monologues, speculation is swirling the network is taking steps to replace the host with Jimmy Fallon next year and move the show from Burbank to New York. The New York Times reported the replacement in a Wednesday story. The Hollywood Reporter had a similar report March 1, which was denied by the network. 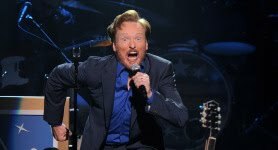 Looming over NBC is its failed effort to replace Leno with Conan O’Brien, which ended in 2010 with Leno regaining “Tonight” and NBC losing O’Brien to TBS. 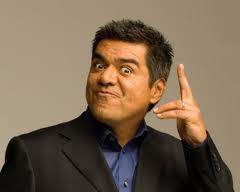 After just two seasons, George Lopez’s talk show Lopez Tonight has been pulled off the air. Lopez announced the cancellation on Wednesday night’s episode. “In case you haven’t heard the news, TBS has decided not to renew Lopez Tonight and tomorrow will be our last night,” he said. Lopez used the announcement to joke about the unemployment rate and how Charlie Sheen handled his firing from Two and a Half Men. “The unemployment rate is high, and for Latinos, it just got a little higher!” he said. “Like every TV star before me, I’m gonna find some crack. I’m gonna get on the pipe! Lose that unwanted 110 pounds I wanted to lose. But I’m taking it good, I’m straight, believe me. I’m fine — my goddesses are a wreck … they left me!” Lopez joked. On a more series note, Lopez said he is not giving up. “We’re not saying goodbye, we’re saying, ‘Cable doesn’t work,’” he added. TBS issued a statement Wednesday saying they are “proud of have partnered with George Lopez.” “TBS has valued its’ partnership with George and appreciates all of his work on behalf of the network, both on and off the air,” the statement said.